The drawers slide in and out easily. There's a random caster in the front center to prevent the whole cabinet from tipping forward when you open a potentially heavy drawer. 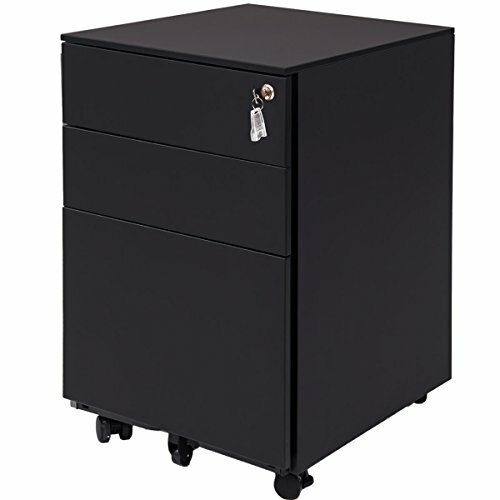 Having casters makes it easier to pull the cabinet out from under your desk so that you can get in there and do stuff, especially if you've got cables and things to worry about back there.